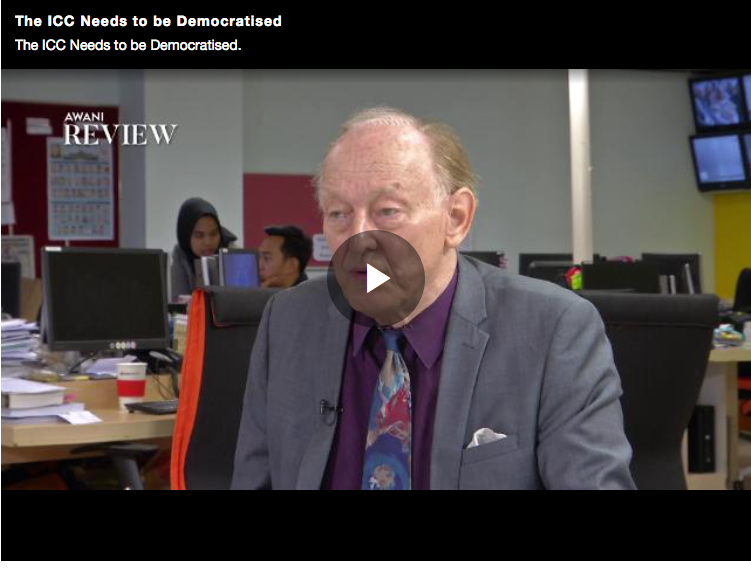 Academic, author and anti-war advocate Dr Michel Chossudovsky wants democratisation in the International Criminal Court to give it more power to pursue leaders who are no more than warmongers. Those who wage wars of aggression are criminals despite holding high office and should be prosecuted for crime against humanity, says Dr Michel Chossudovsky, Director of the Centre for Research on Globalization, author and anti-war advocate. “If we are in a democratic environment – the European Union, the United States, Canada and all other countries that have been involved in the [US-NATO] military coalition – the people should confront their leaders and say what they are doing is criminal,” he adds. Chossudovsky was commenting on a statute that came into effect on June 18, which made the act of war a crime that the International Criminal Court (ICC) can prosecute. 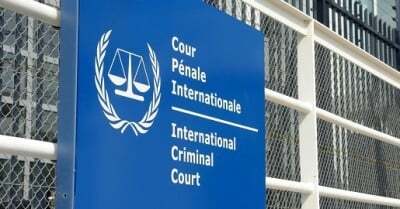 What it means is, under the law, political and military leaders who order the invasion of foreign countries may be punishable for committing crimes of aggression at the ICC at The Hague. Nonetheless, the extent of the ICC’s power to bring warmongers to court remains a debate. This is because only 35 countries have so far ratified the statute. The world’s mightiest nations, including the United States, Great Britain, France, Germany and Japan, do not recognise the law, making the court’s reach severely limited. Having been vocal against wars for so many years, Chossudovsky seems to have too much to say and in trying to explain, we find a wealth of information from this man who could be a library on war. Chossudovsky emphasises that the only wars which are allowed are wars of self defence. Even so, he says some nations have misused the excuse to justify wars of aggression. “First of all, thats a lie – everybody knows that. Did the media report it, did they unfold the lie? Was Harry Truman indicted for his actions? That kind of lies is what the Nuremberg tribunal calls propaganda. You make people believe that it is collateral damage,” says Chossudovsky. He also states that while the ICC has the powers, it hasn’t been as effective in dispensing justice, particularly in getting past the veto powers of the United Nations security council. While states that have yet to ratify the crimes of aggression statute can still be referred to the ICC by the United Nations security council, members are likely to veto accusations made against them. Chossudovsky insists that one must go after the main players who call the shots and not the smaller perpetrators only. He picked out former US and UK’s tops such as George Bush and Tony Blair in the Iraq invasion. It is to be noted that the crimes of aggression statute cannot be enforced retrospectively over conflicts but it may offer some prospect of deterrence. “What we can say without doubt is that all wars of aggression are criminal. There’s such things as humanitarian war and the war of terrorism is bogus,” says Chossudovsky.